The wait for the PSL Final 2017 in Lahore is finally over. No uncertainty remains about the PSL Final 2017 in Lahore. Quetta Gladiators and Peshawar Zalmi are the two teams which made it to the PSL Final 2017. The victory to final seemed just in reach of Quetta Gladiators. However, it was a nail-biting match which made things very uncertain for the team. Quetta Gladiators gave a big total for Peshawar Zalmi to chase. However, Peshawar Zalmi fought valiantly to inch closer to the target. Things did not go Peshawar Zalmi’s way as it failed to clinch the victory when it was not able to get two runs on the last ball. This match’s win paved the way for Quetta Gladiators’ that already did splendidly throughout the Pakistan Super League 2. After the defeat, Peshawar Zalmi’s last hope hinged on the playoff match with Karachi Kings. Thanks to the heroic performance and the only second century of Kamran Akmal in HBL PSL’s history, Peshawar Zalmi was able to post an excellent total. Karachi Kings did try their best to fight back. But Peshawar Zalmi kept its nerve. The bowling department also contributed effectively to the win of Peshawar Zalmi against Karachi Kings. The economic and wicket-taking spell of Wahab Riaz sealed the victory for Peshawar Zalmi. The government has considerably increased the presence of law enforcement agencies in Lahore. The public is not allowed to access Gaddafi stadium. Over 18,000 tickets are sold to the public so far for the PSL final. The last two blasts on Mall Road and a private restaurant in Z-Block DHA Lahore have tensed the security situation in Punjab’s provincial capital. 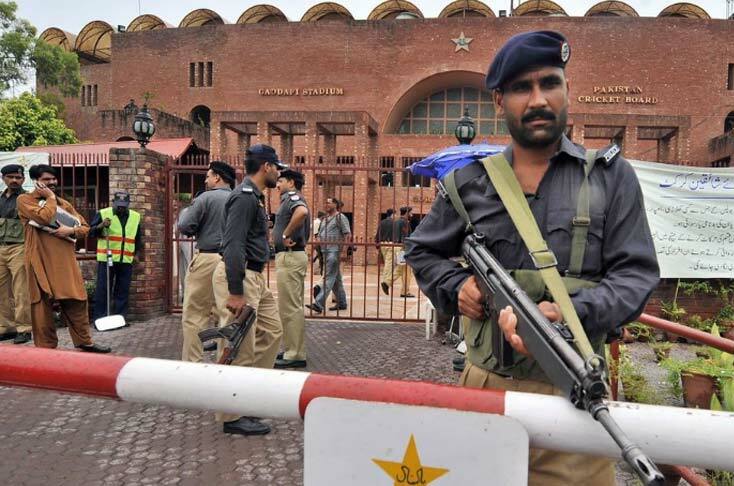 The government has arranged for 10,000 security personnel to protect the venue for the PSL Final match in Lahore. The contingents of security enforcement agencies include Punjab Police, Army, and Rangers. There is a five-layer security arrangement made for the PSL Final 2017. The government is not taking any chances to secure the PSL final. Security arrangements also include the use of high definition facial recognition CCTV systems, scanners, and police control centers. Law enforcement agencies will not allow any private vehicle within the kilometer of the sports complex. There are two entry points for the public coming to see the match. They can enter the Gaddafi stadium on foot, either from Liberty around about or Ferozepur road. Lahore Traffic Police has closed roads around the Gaddafi stadium, giving alternate routes for diverting traffic through other routes.